2U, Inc. Chief Financial Officer Cathy Graham Named 2018 Women Who Mean Business Honoree | 2U, Inc.
LANHAM, Md., Sept. 21, 2018 /PRNewswire/ -- 2U, Inc. (Nasdaq: TWOU), a global leader in education technology, today announced that Chief Financial Officer Cathy Graham has been named to the 2018 Washington Business Journal's Women Who Mean Business list. The Women Who Mean Business award honors Washington's most influential businesswomen who have left their mark on both their industries and communities. With over 20 years of professional experience in financial disciplines, largely in technology, restaurant, and banking companies, Graham has overseen several firms through hyper growth. She has led four successful initial public offerings (IPOs), including 2U's, raised over $150 million in private equity, and closed numerous strategic acquisitions. "I am truly honored to be counted among the exceptional women on this list. They are inspiring and serve as a powerful example of how women in leadership positions bring a unique and important perspective to the workplace – one that not only changes the course of a business or industry, but also has a positive impact in our communities and the world," said Graham. Graham joined 2U as chief financial officer in 2012 to help prepare the company for its IPO in 2014 and to serve on 2U's Senior Leadership Team during a time of growth and expansion. Since starting at 2U six years ago, Graham has driven the company's capital structure growth and earned recognition for her success by the Northern Virginia Technology Council when she was named 2015 Public Company CFO of the Year. Prior to 2U, Graham served as chief financial officer and executive vice president of Online Resources Corp., where she was responsible for overseeing general financial management, broadening the investor base, and exploring strategic business opportunities. 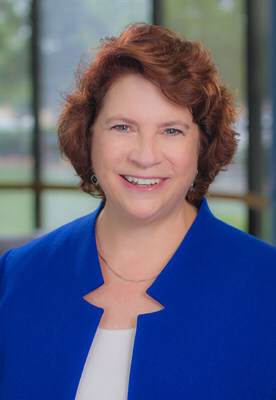 She also served as treasurer, chief financial officer, and vice president of VIA NET.WORKS, Inc., vice president of finance and investor relations officer for Yurie Systems, and chief financial officer for Davco Restaurants, Inc.
Graham sits on the Board for Affirmed Networks, a leader in virtualized mobile networks. Graham received a BA in Economics from University of Maryland Baltimore County and an MBA from Loyola University in Maryland.